Pioneers in the industry, we offer stainless steel coil, 409 stainless steel coil, 430 stainless steel coils, aisi 316 stainless steel coils, aisi 430 stainless steel coils and aisi stainless steel 409 m coils from India. 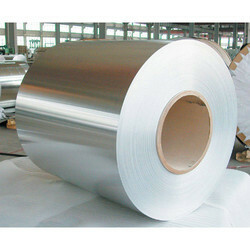 We are ranked amongst the best names for Stainless Steel Coil. These are quality products with accuracy in dimension, sturdiness in construct, excellence in finish and physical robustness. 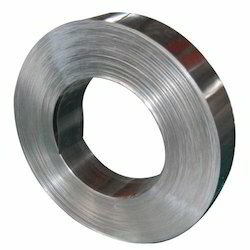 These steel coils & strips are in compliance with different international standards of quality. This enables us to meet the needs of clients from diverse industries. The products are stringently checked by our team before transit to ensure that client receives products as requested. Grade 409 steels are also available in highly stabilized forms, such as grades S40930, S40920 and S40910. The stability of these grades is provided by the presence of niobium, titanium, or both, in the composition of steels. We are engaged in offering 430 Stainless Steel Coils in different grades as per the need of the customer. AISI 430 stainless steel cells contains 16% chrome & has ability to resist nitric acid attack which permits its use in specific chemical applications, still automotive trim and appliance components represents its largest fields of application. Grade 409 sheets of steel are also available in highly stabilized forms, such as grades S40930, S40920, and S40910. The stability of these grades is provided by the presence of niobium, titanium, or both, in the composition of steels. The properties given below relate to the annealed tubing of ASTM A268. The specified properties may not be similar to other products such as bar and coil. Making optimum utilization of available resources and our long standing years of experience in this domain backs us to offer a wide range of metal SS Coils. These can be in metals and alloys such as Stainless Steel, Carbon Steel, Alloy Steel, Nickel Alloys, Copper Alloys etc. We maintain cost competency and timely delivery schedules, assuring customer’s comfort. We are engaged in offering SS430 Stainless Steel Coils in different grades as per the need of the customer. We are one of the trusted names to offer Stainless Steel 304 / 304L Coils for our valued clients. Offered ranges of products are made from optimum grade raw material. Offered products are widely demanded in different industries. Offered ranges of these products are highly appreciated and demanded by our clients. Customers can avail these products at leading price from us in the market. 304 stainless steel coil Grades: Our company supplies stainless steel strips of various grades in accordance with EN and ASTM/AISI standards. 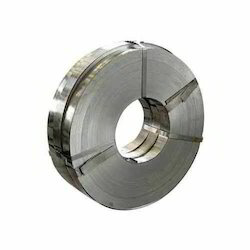 The typical grades are presented in the section "Materials" Tolerances: Normally thickness and width tolerances of regular stainless steel strips and coils are regulated by the standard DIN EN 9445-2 It is possible for our customers to order strips and coils with only plus or only minus thickness tolerance. Our customers can also order strips with tighter width tolerances than defined by the standard (for instance as low as 0.01 mm), which is important for some high-tech applications. Surface Finish and Mechanical Properties: Normally, cold-rolled stainless steel strips have a 2B or 2R/BA finish. The mechanical properties of regular stainless steel strips and coils normally follow the EN 10088-2 standard. Edge of strips: We supply stainless steel strips with following edges: Normal slit edge Very low burr (less than 5% of strip thickness) Deburred edge Rounded edge Other custom edges Dimensions: Our thickness range for regular stainless steel strips and coils is from 0.3 mm to 3.0 mm. Our minimum width is 3 mm. The maximum width is determined by our customers' requirements. 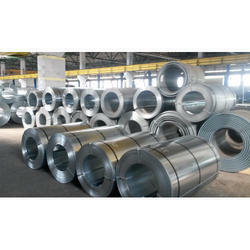 Typical widths for regular stainless steel coils are 1000 mm, 1219 mm, 1250 mm and 1500 mm. 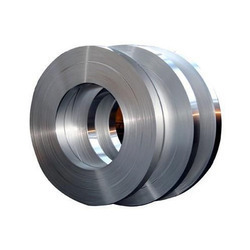 We offer SS Coil to our clients.Stainless steel grade 430 is a non-hardenable steel containing straight chromium, and belongs to the ferritic group of steels. This steel is known for its good corrosion resistance and formability, coupled with practical mechanical properties. It can be used in certain chemical applications due to its resistance to nitric acid. Grade 430F stainless steel is usually provided in bar form to be used in automatic screw machines. Grade 434 has similar properties as grade 430, although it is a molybdenum-bearing version. The molybdenum content enhances its corrosion resistance. The following sections will provide the key properties of grade 430 stainless steels coil, sheet and plate - covered under ASTM A240/A240M. The chemical compositions of various elements of grade 430 stainless steels are tabulated below. -All ferritic grades, such as stainless steel grade 430, have excellent stress corrosion cracking resistance. Grade 430 has good corrosion resistance to numerous substances, such as certain organic acids and nitric acid. The corrosion resistance is maximized in well-polished or buffed condition. Its pitting and crevice corrosion resistance is quite similar to that of grade 304. 430F is a high-sulfur free machining grade, and therefore the resistance to pitting and crevice corrosion is comparatively lesser than those grades that are non-free machining. 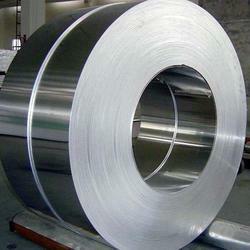 We are engaged in offering Stainless Steel Coil in different grades as per the need of the customer. 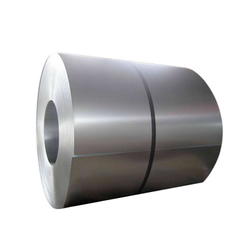 We are betrothed in providing 304 Stainless Steel Coil that meet on client’s demand. Apart from this, this product is extensively applauded among our precious customers for its durability. 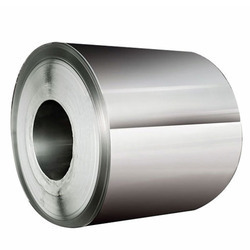 We are engaged in offering 316 Stainless Steel Coil in different grades as per the need of the customer. We are engaged in offering 316 Stainless Steel Coils in different grades as per the need of the customer. We are engaged in offering 410 Stainless Steel Coils in different grades as per the need of the customer. We are engaged in offering 410S Stainless Steel Coils in different grades as per the need of the customer. SAE 430 is straight chromium ferritic stainless steel non-hardenable grade. SAE 430 Stainless Steel Coils provide good corrosion resistance and formability characteristics with useful mechanical properties. Abhay Steels are one of authorised supplier. 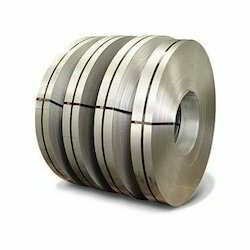 for "Jindal Manufacturer" SAE 430 Stainless Steel Coil in India. At Abhay steels, we stock wide range of different size quantities of "Jindal Stainless" brand SAE 430 Stainless Steel coils in various finishes like BA, 2B, Matt, Mirror, Matte Finish, HR Finish. 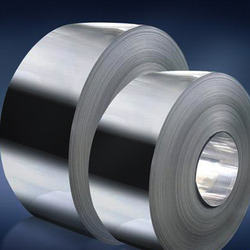 We are a well-known name offering Stainless Steel Coil for industrial usage. These are fabricated using the most suitable grade of SS and latest technology by the manufacturing companies. Backed by experienced teams, we are capable of meeting unique application requirements industrial & commercial buyers. We are the leading supplier of Stainless Steel Coil SS304 made available to our clients at competitive prices. We are engaged in offering Stainless Steel SS304 Coils in different grades as per the need of the customer. 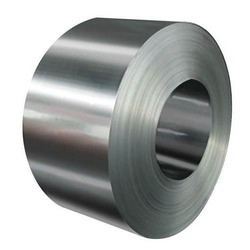 UNS S43000 Stainless Steel Coils grade is USA equivalent UNS designation for stainless steel 430 grade which belongs to ferritic family of stainless steel and is non-hardenable with good corrosion resistance and formability characteristics. UNS S43000 coils can be used for Dish washer linings, Refrigerator cabinet panels, Element supports, fasteners, Stove trim rings, chimeny liners, Automotive trim, lashing wires, Cabinet hardware, Drawn and formed parts. Matt + PVC Finish S43000 Stainless steel coil: One side matte finish and one side PVC coated coils. 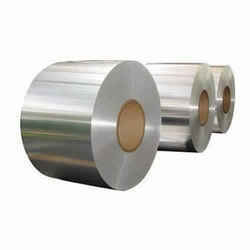 Mirror Finish S43000 Stainless steel coil: Cold rolled annealed and pickled and polished to mirror finish. Mirror + PVC Finish S43000 Stainless Steel coli: One side mirror finish and one side PVC coated coils. We are the leading supplier and the manufacturer of the Stainless Steel 430 Coils. Our reputation in the market is largely attributable to our precision-designed of the Stainless Steel 430 Coil. We are engaged in offering 304 Stainless Steel Coils in different grades as per the need of the customer. We are engaged in offering SS Coil in different grades as per the need of the customer. 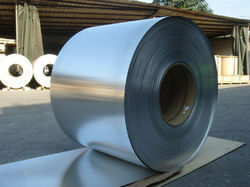 Stainless Steel 304 Coil cold and hot rolled available. Our organization has successfully expanded its business in market owing to the offered elevated quality array of 304L Stainless Steel Sheets. 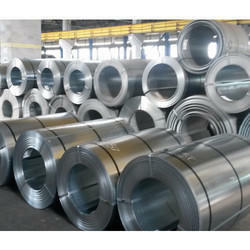 We are engaged in offering Stainless Steel SS321 Coils in different grades as per the need of the customer. We are engaged in offering Stainless Steel 409L Coils in different grades as per the need of the customer. Due to our enormous understanding and massive knowledge of this business, we are involved in offering Stainless Steel 441 MATT PVC Coils. Owing to the knowledge of this domain, we are offering to our patrons a broad spectrum of 430 Stainless Steel Coil. These products are highly used in architectural, kitchen equipment, decorative applications; aircraft exhaust manifolds, expansion joints, furnace parts, and heating element tubing. 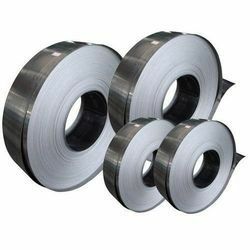 Apart from this, these steel coils are available in different sizes and thickness. We looked upon as one of the preeminent Industrial SS 310 Coil Manufacturers in India. Various national, as well as international clients, are placing bulk orders for the Stainless Steel Coils due to the unmatched quality and unsurpassable performance. Offer range is widely valued all over the nation; our firm is willingly involved in providing a wide gamut of SS 316TI Grade Coils. The offered grade coil is made with the superlative quality steel and hi-tech technology at the visionary direction of competent experts. Along with that, it our offered grade coil is completely inspected by our quality specialist for assuring its quality. Our patrons can take this grade coil from us at market leading rates. A comprehensive range of SS 409 Coil is manufactured by us which is made as per the requirement specifications are given by the clients. Designed with high precision these SS 309 Grade UNS S30900 Coils are engineered with the premium quality stainless steel of type 309S/310S grade. Specifying all the industrial standards, these SS 309 Grade UNS S30900 Coils are offered in various forms like round, square, rectangular coil & U-shape. 410S Stainless Steel is a non-hardening modification of Type 410. Control of the chemistry balance (low carbon and optional additions of Ti or Nb) minimizes austenite formation at high temperatures, restricting the alloy’s ability to harden. The material remains soft and ductile even when the material is rapidly cooled from above the critical temperature. This low hardening characteristic helps to prevent cracking when the steel is welded or exposed to high temperatures. The alloy is ferritic in the annealed condition and ferromagnetic. We are indulged in offering best quality Stainless Steel 410 Coils to our valued patrons. In order to avoid any possibility of defect, these coils are strictly tested on various parameters. We Stainless Steel 316 Coils is one of the leading manufacturers, suppliers, and exporter of 316 Stainless Steel Coil. Efficiently manufactured by our deft experts with the aid of progressive machinery, this steel coil is accessible in varied dimensions as per the specific demands of the customers. Stainless Steel 441 Coils are high-alloy steels which have high corrosion resistance compared to other steels due to the presence of large amounts of chromium. Based on their crystalline structure, they are divided into three types such as ferritic, austenitic, and martensitic steels. 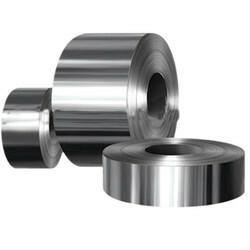 Another group of stainless steels is precipitation-hardened steels. They are a combination of martensitic and austenitic steels. · Tempering in the range 425-565 Degree C is to be avoided because of reduced impact resistance and corrosion resistance. · Tempering in the range 590-675 Degree C results in lower hardness (the product become machinable) and high impact resistance. 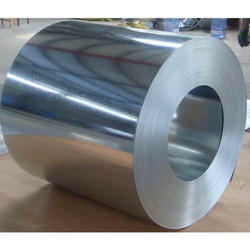 316L stainless steel coil and is part of the austenitic family of stainless steel. 316L grades contain a higher level of Nickel than 304 giving it an improved corrosion resistance over 304 grades. 316L sheet possesses excellent mechanical properties at sub-zero temperatures and good corrosion resistance making it a great choice for marine applications.